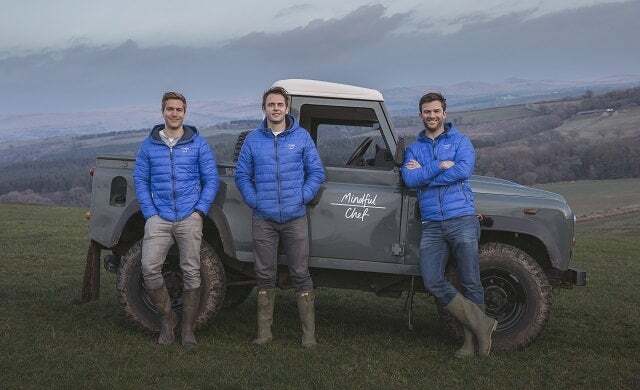 In the summer of 2014, entrepreneurs Robert Grieg-Gran, Giles Humphries and Myles Hopper were a world away from the London business scene; working on a fishing boat off the coast of Devon. Watching villagers line up to buy the day’s catch, the trio were inspired by how fresh the food was compared to supermarket offerings. They felt that freshness and sustainability should go hand-in-hand with health and nutrition and, with a good dose of convenience added to the mix, their start-up Mindful Chef was born. Giving consumers access to fresh meat, fish and produce sourced from independent UK farms, Mindful Chef sends weekly healthy recipe boxes, filled with recipe cards and pre-portioned ingredients, to its subscribers. Unlike services such as Hello Fresh and Gousto, Mindful Chef is the only business of its kind to eschew gluten, dairy and refined carbs from all of its recipe boxes and to cater to every single diet; from vegans and vegetarians to pescetarians and meat-eaters. Mindful Chef’s offering took the public’s fancy immediately, and in July 2016 the business raised £1m in just 11 days in an oversubscribed crowdfunding round with investors including sporting legends Andy Murray and Victoria Pendleton. Then, in October 2017, it crowdfunded a further £2m in just 12 days. Today, the start-up has shipped over one million meals to more than 20,000 customers, and is forecasting an impressive turnover north of £10m for this year. Amidst this success, however, Mindful Chef has kept its twin tenets of sustainability and health firmly at its heart. Through its partnership with charity One Feeds Two, one school meal is donated to a child living in poverty for every Mindful Chef meal sold. The start-up’s next goal is to become the first 100% plastic-free recipe box by the end of this year, and it’s also in the process of applying for B Corp status to cement its environmental responsibility.